The 18-hole Eighteen Hole at Swartz Creek Golf Course in Flint, MI is a public golf course that opened in 1938. 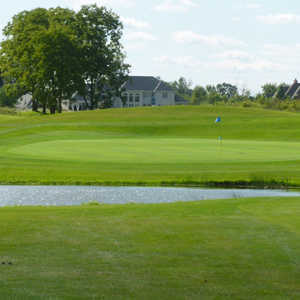 Eighteen Hole at Swartz Creek Golf Course measures 6662 yards from the longest tees and has a slope rating of 119 and a 71. The 9-hole Executive Nine at Swartz Creek Golf Course in Flint, MI is a public golf course that opened in 1938. Executive Nine at Swartz Creek Golf Course measures 2582 yards from the longest tees. The 18-hole Flint Golf Club in Flint, MI is a private golf course that opened in 1918. Designed by Willie Park, Jr., Flint Golf Club measures 6671 yards from the longest tees and has a slope rating of 129 and a 72.1 USGA rating. The course features 4 sets of tees for different skill levels. 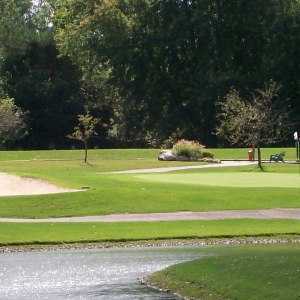 The 18-hole Kearsley Lake Golf Course in Flint, MI is a public golf course. 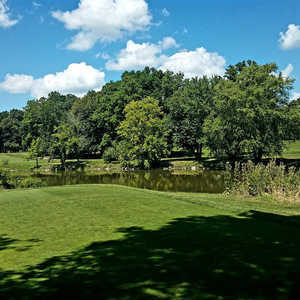 Kearsley Lake Golf Course measures 6594 yards from the longest tees and has a slope rating of 113 and a 70.6 USGA rating. The course features 3 sets of tees for different skill levels. The 18-hole Pierce Park Golf Course in Flint, MI is a public golf course that opened in 1964. Designed by Arnold Trusdale, Pierce Park Golf Course measures 2354 yards from the longest tees. The course features 2 sets of tees for different skill levels. The 9-hole River Forest Country Club in Flint, MI is a public golf course. Designed by Joe Zalogy, River Forest Country Club measures 1145 yards from the longest tees.